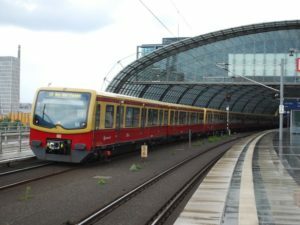 The 4th Railway Forum Berlin 2016 will take place from 29 Feb–1 March 2016 at Estrel Congress & Messe Centre in Berlin, hosting 500 delegates, including 70 high-level executives from DB International, 50 exhibitors and 60 partners and sponsors, including ABB, DB International, Alstom and Bombardier. Delegates will hear speeches concentrating on international and sustainable supply chains, the impact the internet of things will have on the rail industry, the role China will play in creating an integrated railway in Europe and the role of digital innovation in the future of the industry and ways in which it can increase its competitiveness by utilising technological advancements. The conference will also host several workshops on issues such as globalisation, sustainability and procurement, and feature lectures on globalising technological standards, noise reduction technology and monitoring technology. 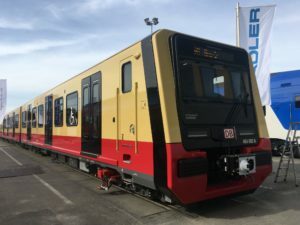 The conference will also host site visits to Deutsche Bahn AG’s ICE plant, EBK Krueger Group‘s production plant, Knorr Bremse’s production plant and Bombardier Transportation’s production plant in Hennigsdorf. The exhibition will showcase the latest products and solutions from market leaders including Cisco Systems, Cyient, Thales, TE Connectivity and GE Power Conversion. Delegates will be given plenty of opportunity to network, including hosting a gala dinner on the first night of the conference.